For nearly all commercial buildings, as well as accommodation premises, fire doors are a legal requirement – this includes blocks of flats, sheltered housing, and houses where there are multiple occupants – even some houses which are owner-occupied and on the larger size. However, what are fire doors? Why are they such an important requirement? Lets first get an understanding of ‘compartmentation’ so that we can then grasp the reason we need fire doors. Compartmentation is what lies behind passive fire protection, it is the way that active fire is stopped from spreading to other areas. This is a structural design process which needs areas of a building to be separated from one another by fire-resistant materials, this means that if a fire does occur in one of the areas, it can’t, or at least would take a long time, to spread to other parts. The main purpose behind this is to protect escape routes for occupants of other areas and if all goes well, to stop the entire building from burning down. What Do We Mean By Fire Door? It’s easy to understand that a normal door which is used in a fire-resistant wall right at the boundary of the ‘compartment’ would do little in stopping a fire from spreading to other areas. However, a fire door, when closed, will not allow the fire to pass through. Fire doors are made from materials which are designed to resist fire for a set time period, this means that it is rarely possible to change a normal door into a fire door. Wooden fire doors are the most common and they have a 30 or 60-minute resistance time, that being said, specialist doors can resist fire for over 4 hours which may be necessary at certain times. 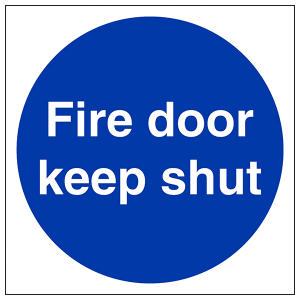 When you take a walk around various buildings you are likely to notice fire doors which have signs on them, they tend to be a blue circle which has white text, often with the words ‘fire door keep shut’. 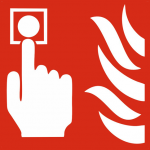 It is mandatory to have these signs so that fire doors can be identified. Another way of recognising a fire door is the mandatory fire door closer. One query which is often made in relation to fire doors is how much material can be trimmed from the sides of the door. This may be needed to fit the door into an existing space. 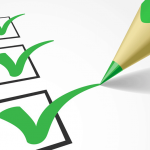 In a few words; there is no recommended, general or mandatory amount that can be trimmed. When it comes to traditional wood fire doors, these used to be tolerant to a level of material removal, however, the more modern designs of today make use of lightweight material which has a higher resistance at the door’s edge and a lesser resistance at the core, this means that if you remove the edges you are going to seriously impact how resistant the door is. You can only get accurate trimming information from the door manufacturer and this is often provided on a case-by-case basis. In the data which you received from the manufacturer, you will likely find guidelines on this. If you trim an excessive amount of material from the fire door you will end up with a lower integrity as you may compromise core materials. Hence, your door’s certificate may end up being void as the door has been changed in a way that is outside the realms of the certificate, this means your door may actually be illegal. A wooden fire door will tend to be around 44mm (FC30) or 54mm (FD60) in thickness. The internal construction is usually a solid core – often particleboard, timber or chipboard – or they may have a hollow core design. You will find timber framing on some fire doors while other will have a hardwood lipping on two or three of the sides so that there is enough resistance and also room for minor trimming, others have a plywood or MDF sheet glued onto to the core and hence do not have a frame or lipping. Certainly, the construction of fire doors vary, however, the majority of manufacturers offer a choice of finishes, for instance, wood-effect or painted. These finishes are not related to the resistance offered, however when it comes to testing and certification they may be viewed as part of the construction, that is why you should make sure that you check with the manufacturer before making any changes to the surface of the fire door. There are several manufacturers who will offer fireproof glazing options, as well as raised and fielded panels. You should not change an existing fire door by adding such glazing without first checking with the manufacturer, in fact, if it is allowed the work should only be completed by a person who knows how. With the exception of the actual door leaf, any fire door component will be classified as ‘fire door hardware’ or ‘fire door furniture’, this includes the hinges, the edge guards and some ‘essential items’ since all fire doors are obliged to have them. Essential items include appropriate signs, a lock or an automatic fire door closer. If the door has a lock and is going to be locked at all times, a closer can be omitted – for instance, a door to a cleaner’s cupboard. All furniture, fire door components, as well as aesthetic components which penetrate the door’s surface or go around the door from each side have to be fire rated. Hinges which attach the frame, as well as seals and the door closer are all part of this. 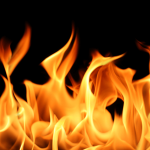 For instance, it is no good having an FD60 door which has a usual lock – certainly stainless steel is able to survive a normal office fire, however, the internal components which make up a normal lock may have a lower melting point. Intumescent materials have the design of getting bigger and swelling at heat exposure, this means they seal any gaps which may be found around a fire door and hence do not allow the fire to cross. Intumescent fire seals must be used at door edges – although you can alternatively apply them to the frame. You may also need strips of intumescent material between the frame and the hinges and also between the hinge and the door – in the same way, they may be needed behind other hardware like closers. Intumescent seals at door edges and frames also often have an integrated smoke brush which does not allow smoke to spread (cold smoke seals). Smoke will spread at a quicker speed than fire and often the heat it generates is not enough to activate intumescent seals, hence it flows around the door and frame. Sometimes, it is not possible to avoid this – ventilation grilles are on some doors which are protected by intumescent but are created to allow the flow of air until heat reaches a certain level. However, fire doors which lead to escape routes or which are in buildings which have a stay-put policy in place may need cold smoke seals, in these situations intumescent air transfer grilles would not be appropriate. Fire risk assessment will show which type of fire door and seal is to be used. 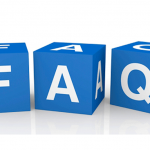 Another common question is related to whether certified tradesmen should be employed to carry out work on a fire door, whether this is related to maintenance, modification or installation. In a word, the answer is no. It is not required for a person to have certification to work on a fire door. That being said, we recommend that you only hire a competent expert for such a task. According to legislation, buildings regulations and related Standards – it is required that the worker is competent at the task they will carry out. The HSE gives the definition of competence as a combination of ‘training, skills, experience and knowledge’ as well as the person’s ability to perform the task. Of course, this definition does point to the need for training, however, it does not indicate that this training is to be formal or certified. Legally, the Responsible Person of the premise should make sure that workers are competent for the task. This may involve only hiring qualified workers, but it may also relate to choosing a local company since they have customer testimonials on their website which are related to work with fire doors. So long as the Responsible Person is able to give evidence – to insurers, in court and so on – that they ensured the competence of the worker, then the worker is the one who is liable for the work they carried out.